Last year I bought the Lowe Pro Hatchback 16l AW for situations where my Billingham Hadley Small would not be practical. 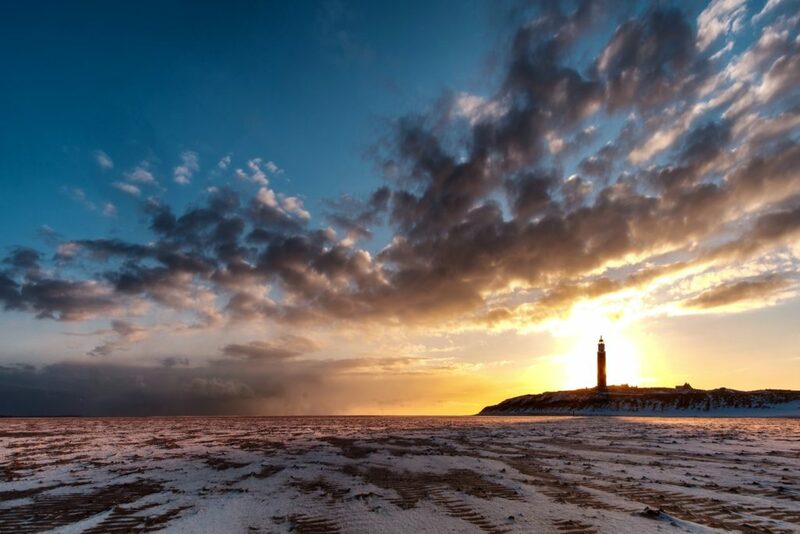 Foremost in my mind at that moment was an upcoming holiday to Sicily. Walking long hours and the need to carry more than just my camera equipment meant I needed something different, and preferably a backpack. After considering several options I choose the Lowe Pro Hatchback 16l AW. And it delivered. It fit my equipment (18, 35 and 60 mm with the XE-1) perfectly and had enough space for everything else I needed to take with me. Since then the situation has changed however. In addition to the three primes I now also carry the 18-135 mm and the XT-1 (the XE-1 remains at home most of the time). The addition of the 18-135 mm (in comparison to the primes a huge lens) meant that not all the lenses could fit in the camera compartment, and the main compartment had to be used to carry the 18-135 mm. Not practical at all. So I began to look for an alternative for the moments that I really wanted to take all my gear with me (including tripod and a new cokin filterset). 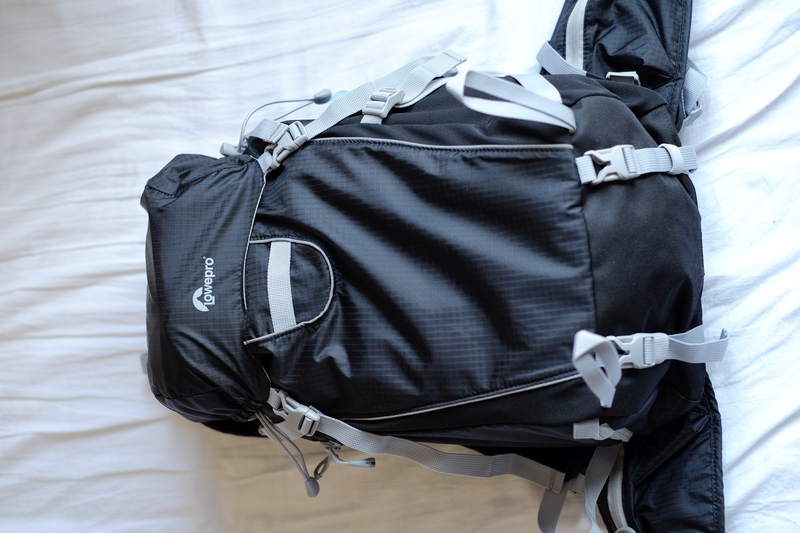 Large enough to carry all my gear (XT-1, 18-135, 18, 35 and 60 mm) a tripod, my filters, a lightweight jacket, lunch, enough water for a dayhike, sunglasses and everything else I would need hiking. 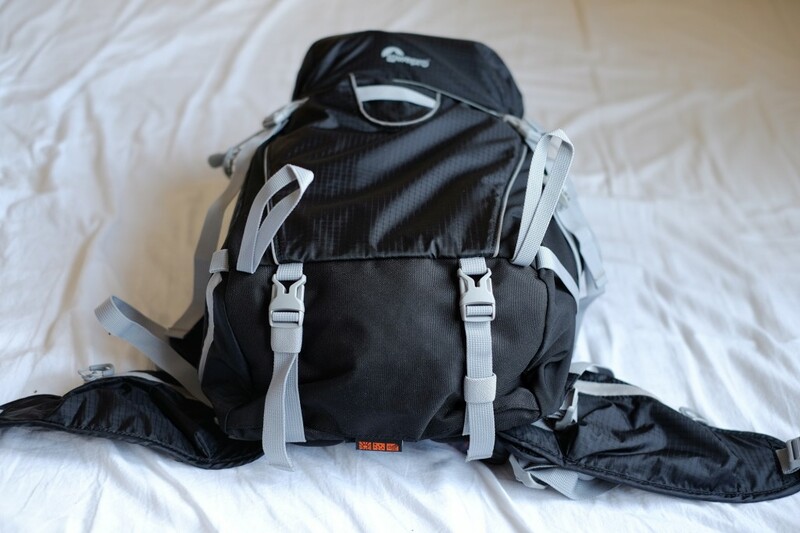 I settled on the Lowe Pro Photosport 200 AW as the backpack of choice. It seemed to fit all my requirements. The only thing I wasn’t sure about was the size of the camera compartment. 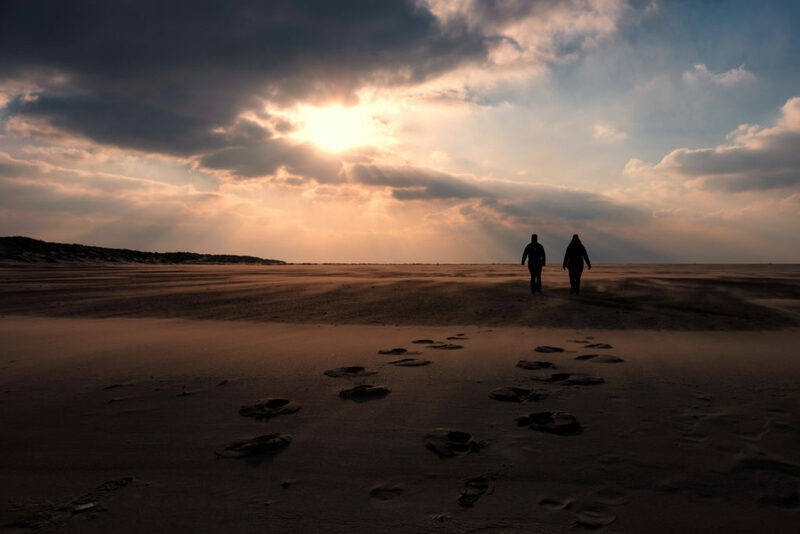 It’s always difficult to estimate the amount of space from a photograph or on youtube, especially since most examples include full-frame dslr’s with 70-200 mm L lenses. This week it arrived. My first thoughts were very mixed. 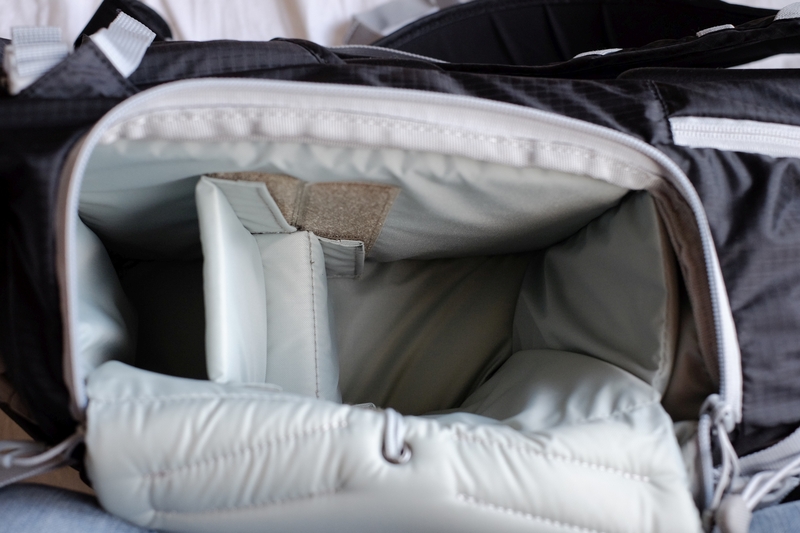 While the backpack was very comfortable on my back and the space inside seemed ample, the straps and especially the buckles seemed a bit flimsy. 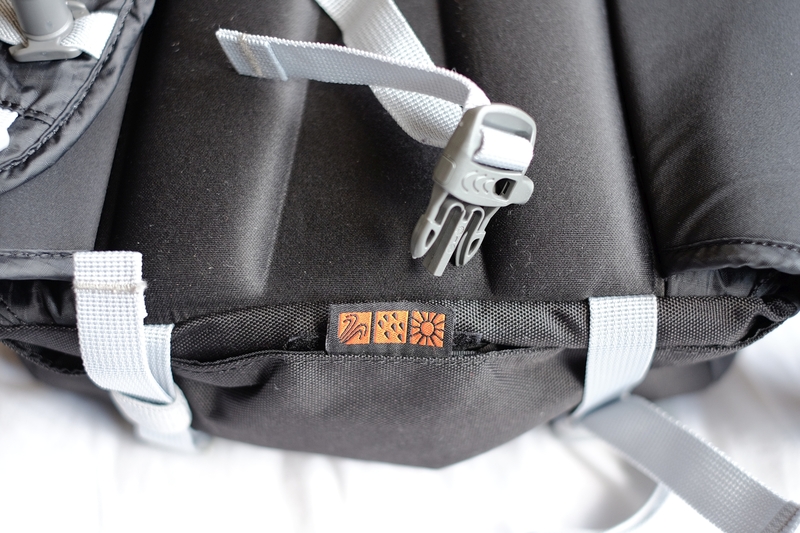 When I wanted to take the backpack on my first ‘serious’ hike, I stumbled on another major fault: while the camera compartment was indeed large enough, customization options were almost nonexistent. At that moment I almost went back to my Hatchback, but I decided to give the Photosport a chance, and after some compromise (I left the 18 mm at home) I started off. While this hike was in no way a very demanding hike, it did give me a chance to feel the backpack in action. Comfort: the bag was very comfortable. While I never had any serious complaints about the Hatchback, the back panel of the Photosport is I think more comfortable. I had it on my back for about six hours and I never experienced any discomfort. At first glance the shoulder straps are a bit thin and the waist belt certainly isn’t designed to support the weight of the bag on your hips, but as long as you are not going to lug around a 1D with 70-200 2.8 I think the whole system is more than capable of carrying your equipment comfortable. Build quality: the whole bag is made of very thin fabric. 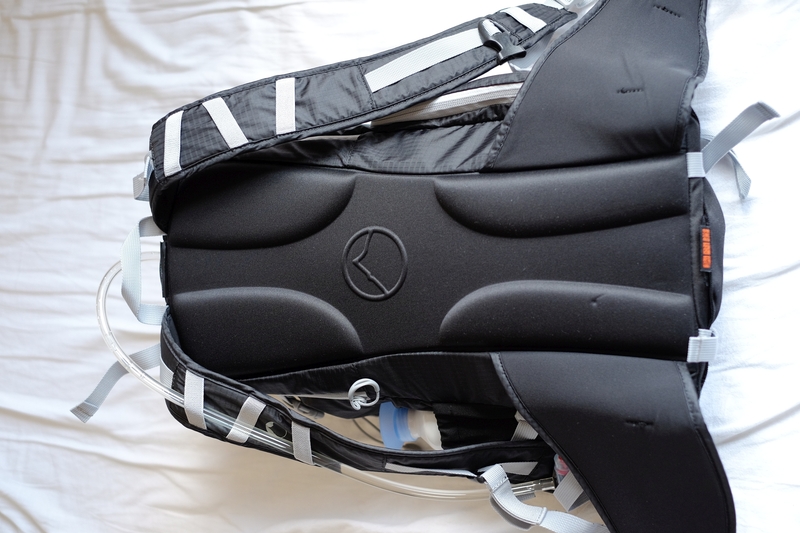 The reason for this is probably saving weight (which also explains the thin shoulder straps and flappy waist strap). Obviously one hike is not sufficient time to see how this fabric survives over time, so there is not much I can say about this yet. Lowe Pro usually does use decent stuff though. One aspect I’m not so sure about is the buckles. As said before, they seem a bit flimsy, don’t clasp easily and are on the small side (saving weight?). I would have liked some solid clasps for the waist strap and the straps for the top compartment. Rain cover: as I had a small shower during my hike, I had, for the first time ever, the opportunity to use the all-weather rain cover. It works. It does interfere a bit with the waist belt though. Size: the size of the main compartment that is accessible from the top is decent. For my day hike I took with me a jacket, lunch and sunglasses and there was a lot of space left. Probably could have fitted a sweater and still have room to spare. 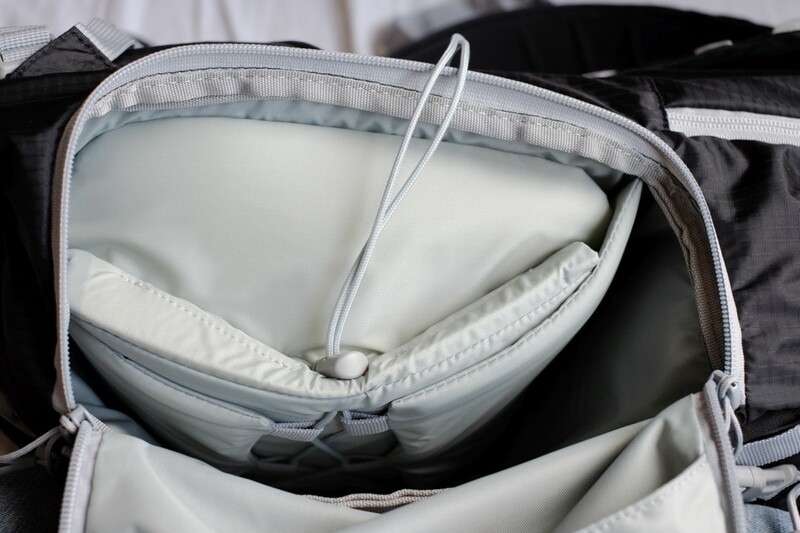 Note that while the bottom part of the bag is used by the camera compartment, there is room toward the back and side of this compartment to put some stuff. While this could be useful for some things, it is also possible for stuff to slide down and then you have to dig very deep to find them. One other thing that surprised me a little is that there is almost no organizing space: there is one small packet to the back, and that’s it. I could’ve used a few more pockets for small stuff. 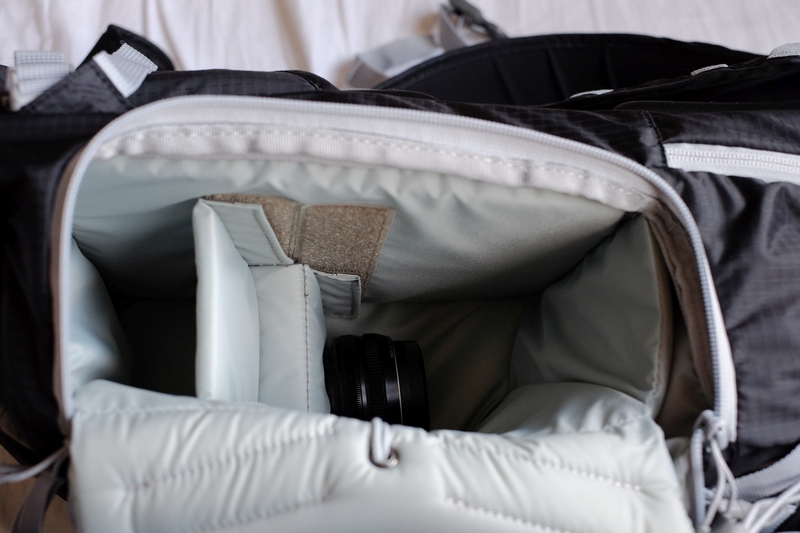 Camera compartment: The camera compartment is – I think – designed with a dslr and two lenses in mind. There is one large space for camera and connected lens, and one smaller space that could be used for a second (tele) lens. Not very useful for my three primes and 18-135 combination to be honest (but the XT-1 and 16-50/50-140 combination might fit very well). Unfortunately, there are not many ways to customize the camera compartment. 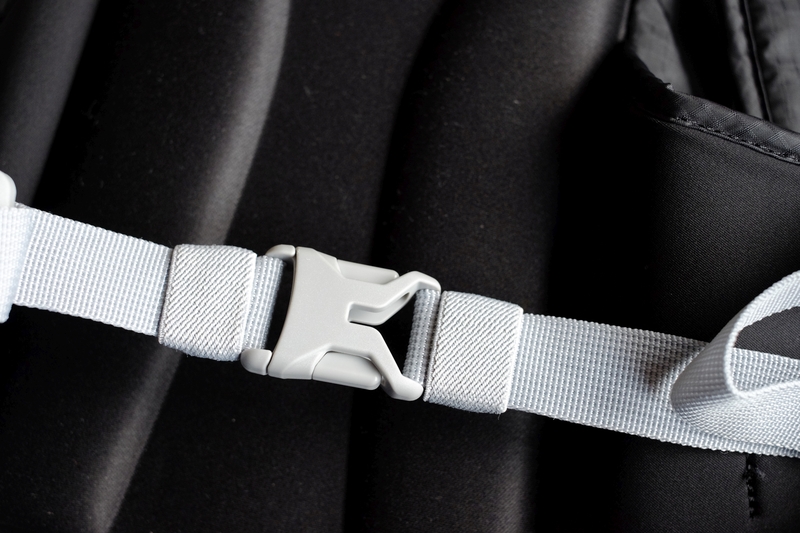 There is Velcro only in certain places, limiting the way the dividers can be placed. 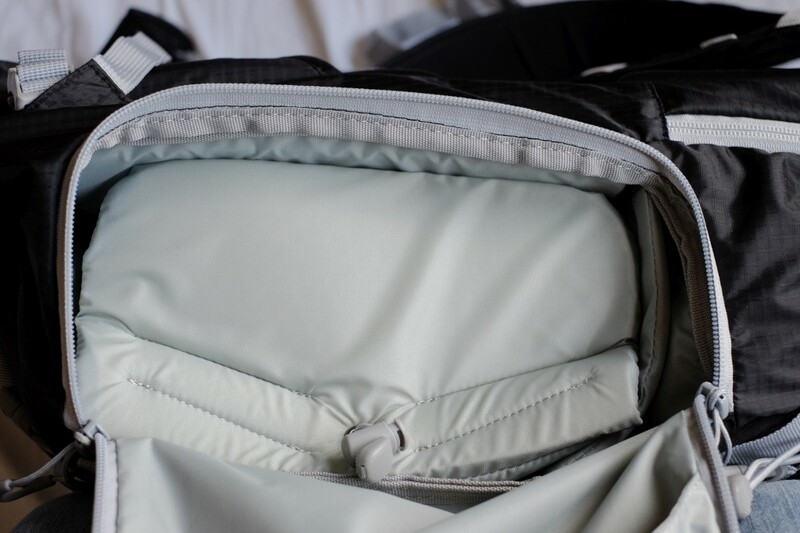 This is something Lowe Pro does often, unlike Crumpler (and Billingham for that matter) where the whole inside can be used to place dividers. My camera and largest lens are still not deep enough to fill the width of the bag, so a divider that could be placed at the bottom of the compartment (the side of the bag) would be nice. This way I could stow two small primes extra. 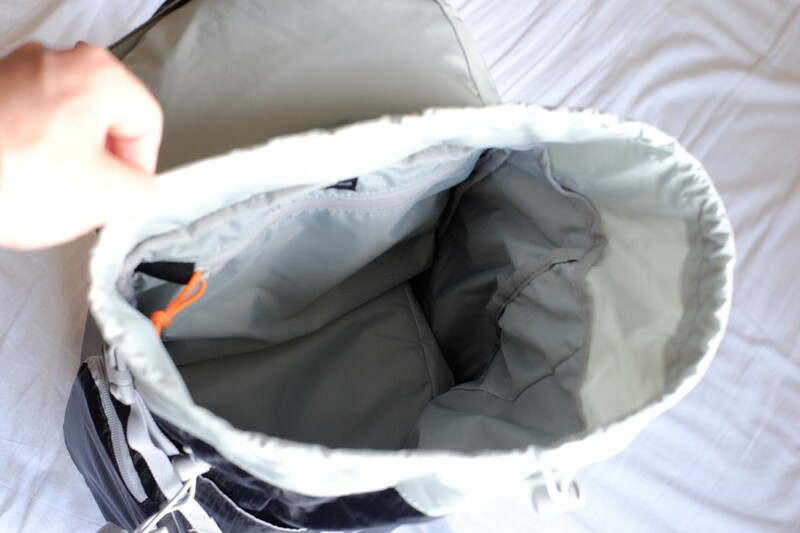 The camera compartment is not removable (I didn’t really expect it to), which probably contributes to the safety and stability of the gear, but it would be awesome if it could be removed, turning the bag into a normal daypack. 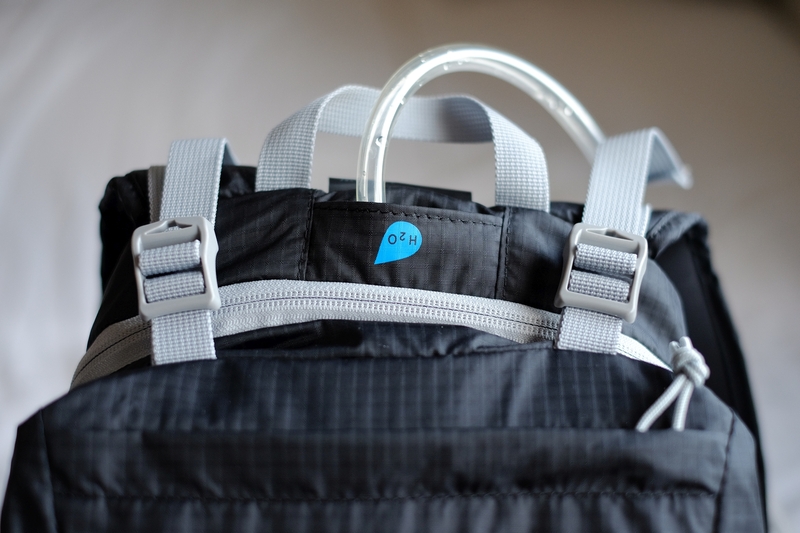 This backpack is a side loader, which means that you can access your gear, without putting the bag down, by swinging it off one shoulder and opening the bag. I was a bit concerned about changing lenses in this position, but you can easily fixate the bag with your arm (so that it won’t fall of your shoulder) while you change. It does make the bag a little more prone to theft (unlike the Hatchback with it’s opening towards your back). The camera compartment has an extra feature that can come in handy when you’re outdoors on rough terrain. By pulling the cord that runs along the entire length of the camera compartment, the compartment is compressed, reducing movement of your gear to a minimum. I haven’t used it yet, but it is a nice feature. 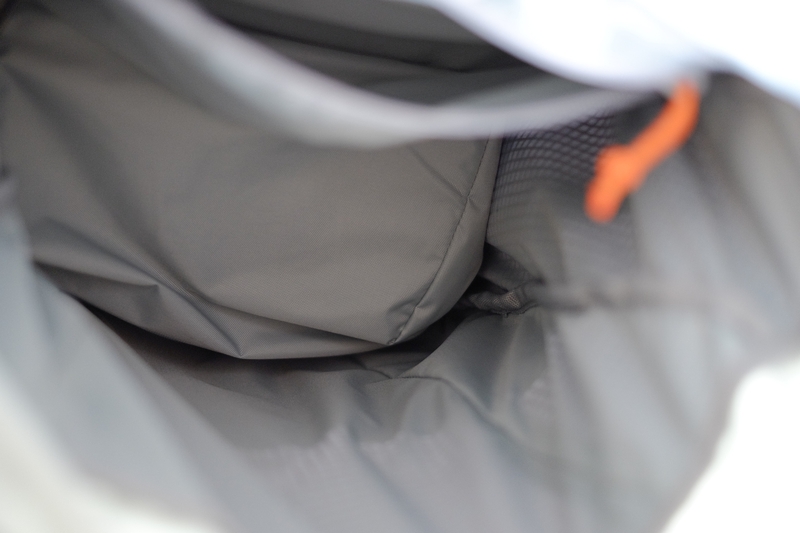 Water reservoir: One of the main advantages of this bag for outdoor work is the ability to carry a water reservoir in a pocket against your back. 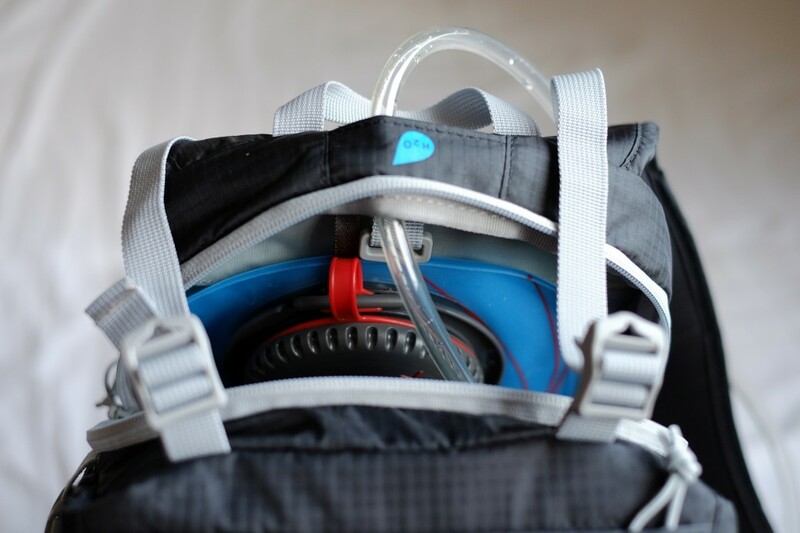 I was a little afraid that adding a water reservoir would make the bag more uncomfortable (because the back isn’t rigid and might bulge against your back), but I’ve used it with a two liter hydration pack (Osprey) and it was not a problem. The bag was still comfortable. The Osprey has a rigid plate in it though, that keeps the reservoir slim, while other water reservoirs might bulge more. This really is an asset to the bag! 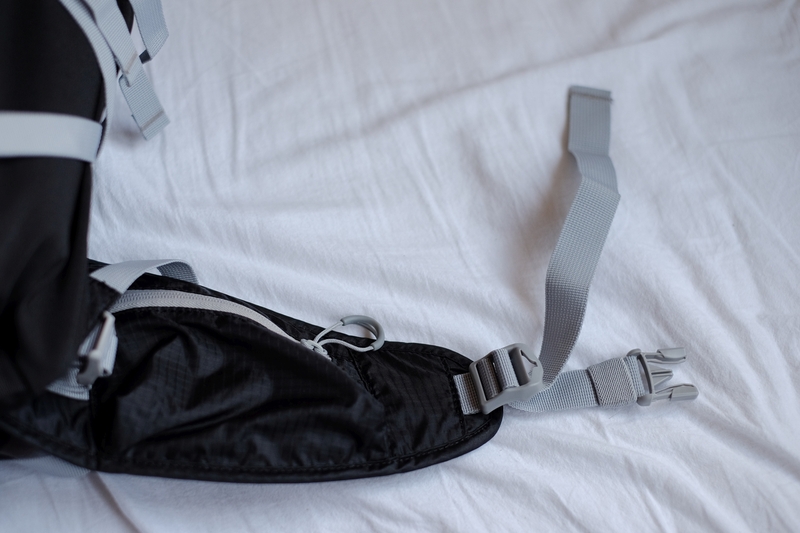 Some other features on the bag that could be useful (though I haven’t used them as of yet) are for instance the straps at the bottom of the pack, that allow you to strap things to the bag (might be useful for longer hikes). 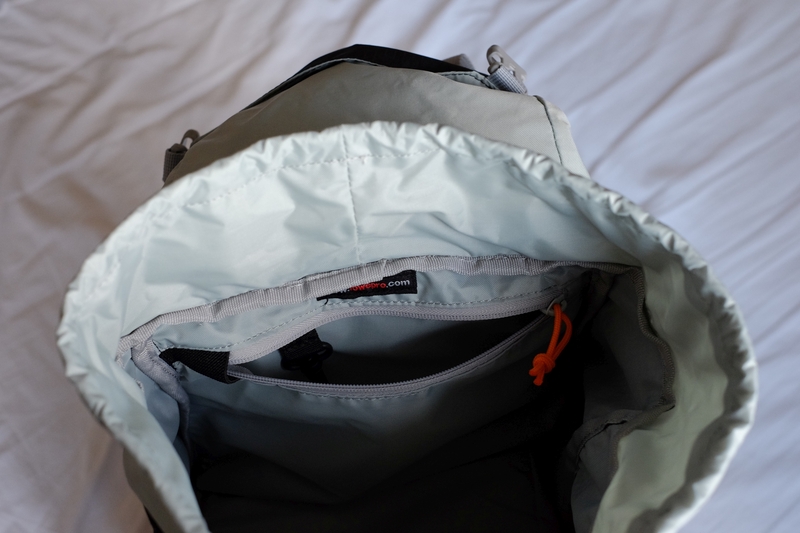 There are also straps along the side to compress the backpack as much as possible and there is a pocket at the back of the pack for small thin items like maps or a folded jacket. 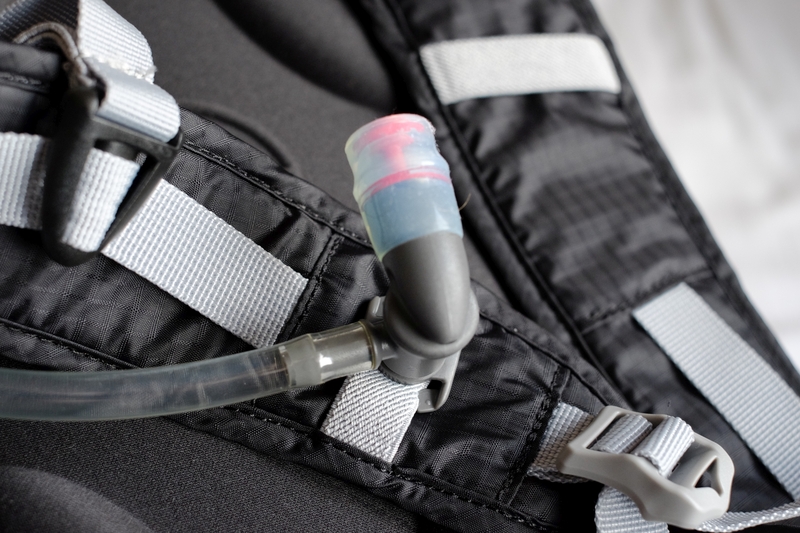 If you’re not using a hydration reservoir there is also a side pocket for a bottle of water (or a tripod if you choose). So, while the Photosport certainly isn’t the perfect backpack, it has some very nice features and will be very useful in certain situations. It is definitely not universally practical. It will not replace my Hatchback, but rather be an addition to it.